Disguised as a boy for 16 years, she put herself and her family in the cross-hairs of the Taliban in order to achieve her dreams of becoming a world class athlete. Growing up in Pakistan with the ambition of becoming a professional squash player, it was not long ago when Maria Toorpakai’s dream seemed like a long shot. But today she is training in downtown Toronto with former world champion Jonathon Power. Maria is currently the number one female squash player in Pakistan, and ranked 60th in the world. However, becoming a professional athlete has been an especially long and arduous road for Maria. With the support of her family, she was able to defy all odds and overcome the disadvantages that were stacked against her: primarily the fact that she was female. The challenging social and political situation she endured in Pakistan has ultimately shaped who she is today. 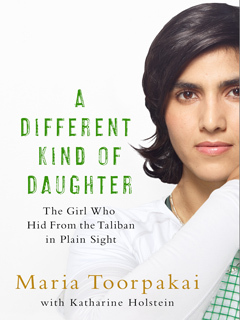 Since her arrival in Toronto, she has founded the Maria Toorpakai Foundation, and has published her first book, A Different Kind of Daughter: The Girl Who Hid From the Taliban In Plain Sight, her film memoir called Girl Unbound was screened at TIFF 2016 and she has been invited to meet the Pope and speak at the first ever Sports and Faith Conference at the Vatican. Faze Reporter Megan Yam, Founder Lorraine Zander and Maria Toorpakai at the Faze interview.